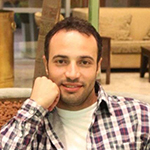 A short interview with Waleed Kamel, Software Development Manager at EFG Hermes, a premier investment bank in the Middle East. "EFG Hermes is a premier investment bank in the Middle East and is recognized as the market leader in securities brokerage, asset management, investment banking, private equity, and research in this area. EFG Hermes has a huge number of customers, ranging from governments and corporations to institutional and individual investors". "The firm is listed on the Egyptian and London Stock exchanges. Yet, we provide many software products to our clients to facilitate the stock trading activities, disseminating a real-time market data feed and orders in different flavors (Windows, Web and handheld based systems)". "EFG-Hermes holding is the leading Investment Banking firm in the region with presence in the Egyptian market since 1984 and regionally since 2004. The company’s assets under management reached equivalent of USD 8.17 billion in 2010. The company HQ is located in Cairo with branches and subsidiaries in UAE, KSA, Kuwait, Oman, Qatar, and expansion plans to cover Lebanon and Bahrain in addition to other emerging markets in the region. EFG Hermes employs over 1000 people from more than 25 nationalities and provide services to clients in 9 countries across the region. We serve over 20,000 customers across Meddle East region". "We serve a wide range of users who look for a professional services in the stock exchanges field. We provide Web, Windows and iPad based systems". 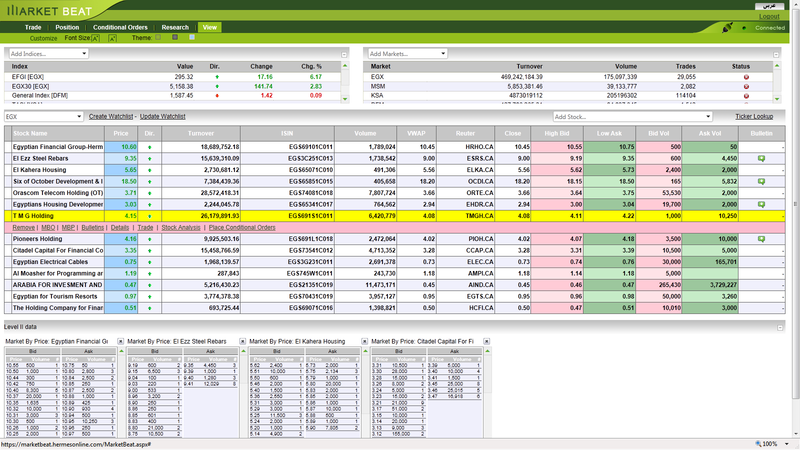 "EFG Hermes applications are utilizing Lightstreamer to disseminate a real-time stock market data feed to the clients. We collect the data feed from different markets in different hubs, manipulate such data and re-disseminate them to our clients". "Disseminating real-time data, with scalability and high refresh rate support". "Actually all, we have three different applications relying on the same Lightstreamer engine, with HTML, WPF and iOS based applications". What other features of Lightstreamer are you taking benefit from (e.g. data throttling, low latency, bandwidth management, security, smart proxy traversal, etc.)? "Scalability, frequency control, data snapshot, fast sending rates, and TCP bandwidth optimization". "Published only for subscribed clients, https://marketbeat.hermesonline.com". "After over 4 years of experience with Lightstreamer, it proved to be a very reliable engine, which has rich features and functionalities and great libraries that really facilitate client’s implementation. I really appreciated its responsible and dedicated support team. I would recommend Lightstreamer as a world class quality product with a reasonable price".